When you hear the word insulation, the majority of people apparently think of insulation made out of polystyrene, mineral wool and similar products. But did you know that there are insulation materials made from natural fibres such as hemp, flax, wool, cotton and jute? They truly exist. A look into the past reveals that natural materials were used regularly for buildings, and now they're making a comeback. In addition to their excellent insulating and other qualities, they also support a healthy environment and reduce adverse ecological impacts. The company KOBE-cz s.r.o. also works with these materials. Founded in 2002, KOBE-cz s.r.o. manufactures non-woven textiles from natural, synthetic and fiberglass materials. These products are then used in the automotive, furniture and construction industries. 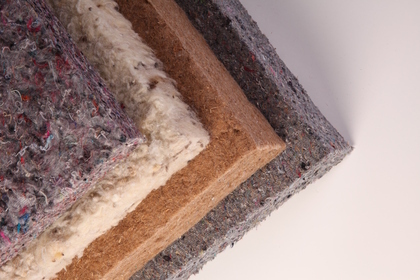 In the latter, this primarily concerns high-quality insulation, and one of the many possibilities is insulation made from natural fibres, which is ideal, for example, for insulating buildings. Materials that are able to compete against artificial products even on today's market. Their primary advantage is their favourable environmental impact, as they leave behind no negative ecological footprint and their thermal qualities are comparable to synthetic insulations. They provide superior thermal protection not only in winter, but also in summer, while also posing few heath problems. The use of these natural insulation materials is appropriate and beneficial not only for environmentally-friendly buildings. The name KOBE ECO HEMP FLEX in the production programme of the company KOBE-cz s.r.o. means products made from natural hemp fibres. The advantage of these products is their low environmental burden, recyclability, lack of health problems, perfect accumulation qualities, simple installation and overall handling. Moreover, insulation from hemp fibres has good diffusion qualities and thus regulates moisture and supports healthy climatic conditions indoors. The material is very stable and resistant to damage. There is no need to fear attacks by pests or mould. The material is suitable for the inner and outer insulation of walls, secondary structures, wood beams, etc. The insulation can be manufactured in various dimensions, thicknesses and densities according to the customer's needs. 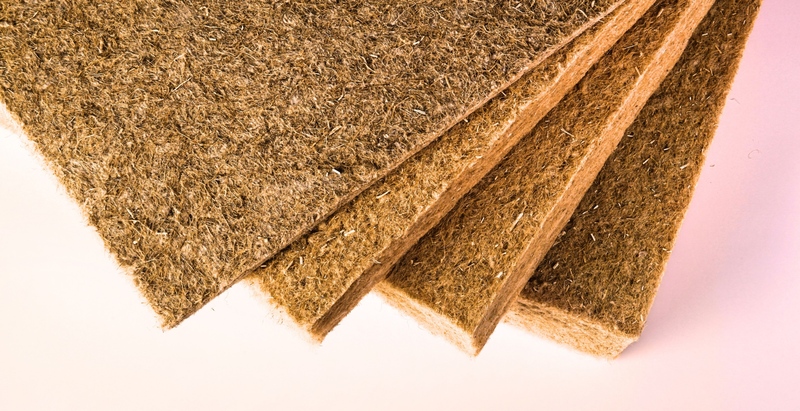 Other types of insulation materials made from natural fibres are KOBEVLIES V products. This category includes products made from materials such as cotton, jute, wool, flax and others. Like hemp, these materials are also known for being a healthy option to standard insulation, for their high diffusion, accumulation capacity and simple handling and installation. And thanks to the fact that they are made from renewable resources, they are also recyclable. Their benefits do not end there. For example, they have a long lifetime, are fire resistant, absorb and then release problematic moisture and are also affordable. And speaking of finances, natural materials have perfect insulating qualities that reduce energy loses and save you money. Thanks to the wide spectrum of choices among natural materials, each customer can choose their ideal insulation and create a healthy home for their family. KOBE ECO HEMP FLEX product from natural hemp fibres - KOBE-cz s.r.o. KOBE-cz manufactures insulating materials made of glass and natural fibers. They are used in the automotive, construction and furniture industry as part of structural and insulating parts, as well as in power plants and for insulation in other industrial areas. Wherever they need products from natural and glass fibers, which are manufactured by KOBE-cz s.r.o. The company also focuses on lamination.